Christmas is always a big day for end of year movies. Here's a few we can look back on now that opened to mixed results back in 2012. Some big moves going on in the book to movie world. Les Miserables director, Tom Hooper has turned in his cut of the movie (YES! YES! YES!) and Universal has decided to push the release date from December 14 to December 25. According to Deadline the studio thinks the movie musical is right for a Christmas Day opener which probably means they think it will appeal to families. I know it appeals to mine. The fact that both The Great Gatsby and Life of Pi are no longer scheduled for a Christmas Day opening can only help. Life of Pi will actually open earlier - November 21 and Gatsby has been moved to 2013. 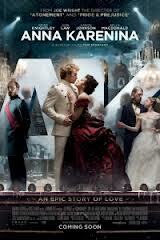 FYI, Anna Karenina with Keira Knightly, Jude Law and Savages Aaron Taylor-Johnson opens in limited release on the 16th. That's a movie I would have thought would be released closer to the holidays or at least that big Thanksgiving holiday period. Lots of us can't stand the idea of doing the black Friday thing and head for the movies instead. Especially those theatres that aren't in the local mall clogged with holiday bargain shoppers. The Christmas Day competition for Les Miserables will be Guilt Trip, Parental Guidance and Quentin Tarantino’s Django Unchained. I don't see Les Miz having a problem standing out in that crowd, do you? In other book to movie news, Jack Reacher, the Tom Cruise movie based on Lee Child's One Shot novel opens a few days before - on December 21- but even Lee Child fans probably won't go rushing to see it because they're all so furious that Cruise is trying to pass as the hulking Reacher. 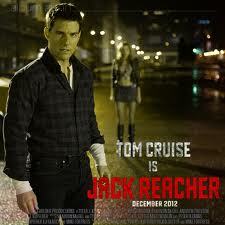 Of course Jack Reacher isn't really competition for Les Miserables. It won't get the family audience anyway while Monsters Inc 3D will and This Is 40 from Judd Apatow will bring in the parents. Peter Jackson is probably highly delighted as The Hobbit: An Unexpected Journey is set to open December 14, and now won't have to worry about Les Miserables taking away from its opening. 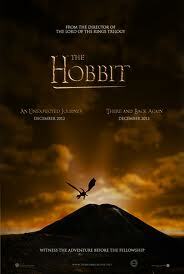 Unless Warner Brothers ends up moving The Hobbit to Christmas Day too. Which is what one of the comments on the Deadline article predicted. They actually said they had inside info that was in the works. Oh well, we'll see. It's all good for us, the fans that (hopefully) flock to the theatres this fall and holiday season! 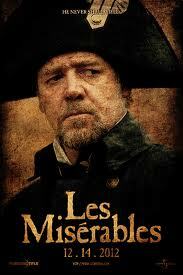 If I were going to see a movie on Christmas Day, it would definitely be Miserables. I can't wait to see it with my daughter when she's home from college on break.